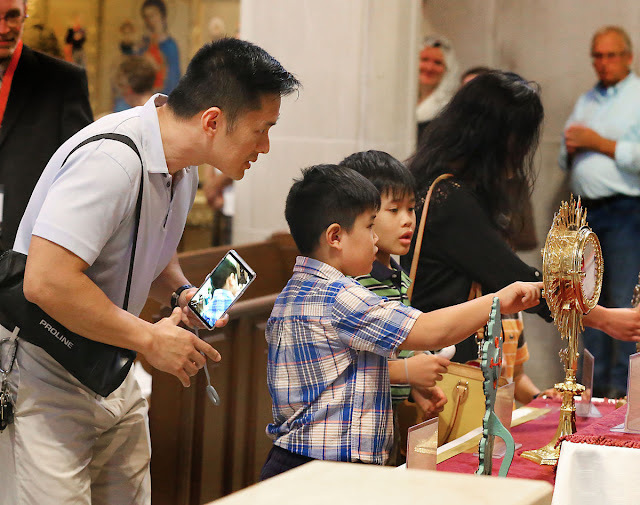 They came by the hundreds, by the busloads and by the carloads — pilgrims traveled hundreds of miles from at least five states to view and honor relics of St. Padre Pio Wednesday at St. Joseph the Workman in La Crosse. At the rate of 500 an hour, they started lining up outside the cathedral at a pace that promised to far surpass the 2,000 minimum turnout that officials of the La Crosse Diocese expected and up to 4,000 possible. A really good writeup, and Bp. Callahan with some excellent comments explaining and commending the devotion to saints.